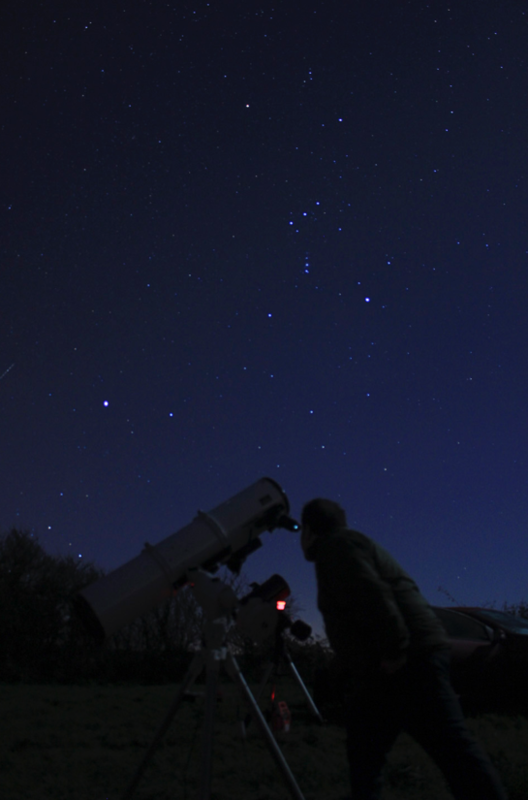 The South East Kent Astronomical Society (SEKAS) was formed in 1972 and is an enthusiastic band of about 100 members of all ages and backgrounds. We share a common interest in the oldest, and ever changing, science of Astronomy. We undertake a wide breadth of activities, from visual observing, astrophotography by traditional means and by CCD and webcams, computing, telescope making, electronics to solar eclipse “chasing”, meteor watching, aurorae, lectures, solar observing, and public stargazing sessions. Above all, the aim of the society is to encourage and expand each member’s interest in astronomy and promote a greater general understanding of the night sky and the universe we all share. The original way to enjoy and discover the night sky! We observe with everything from large ‘light bucket’ telescopes, right down to the plain unaided eye, and everything in-between. We undertake regular visual observing sessions at our dark sky site, the Paddock, with both pre-arranged and ad-hoc, member-arranged sessions. Being so closely tied to the weather, it’s often the last-minute sessions arranged by members that end up being the most rewarding! We encourage any members to join us when we have a ‘Paddock Night’ – the social and learning aspects of it are as important as the observation itself. Keep your eyes on the social media feeds on Facebook and Twitter, as well as on this website, for details of upcoming or last-minute sessions. For members to get information on the location of the Paddock, please click on the ‘Members’ Area’ entry in the main menu above. Several telescopes are available for loan, and we encourage those who have never used astronomical equipment before to give it a go before taking the plunge and investing in your own kit. This enables you to decide first-hand what sort of telescope (or even binoculars) are suitable for you when starting out. There are regular meetings and talks. A programme of evenings specifically for night-time observing is always included, with members’ equipment available – enabling the newcomer to be shown the night sky by an experienced and friendly guide. The yearly programme of events is aimed at all members, and is additionally supported by supplementary ad-hoc observing sessions and meetings as the occasion or interest arises. 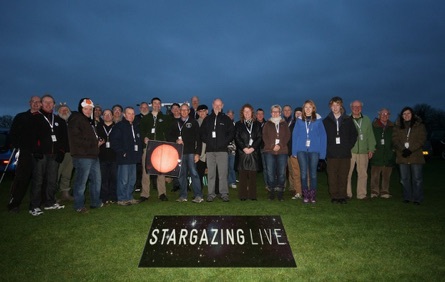 The society is a member of the Federation of Astronomical Societies, and SEKAS members are therefore able to take part in the additional events organised by this group of over 100 other local societies. We are lucky enough to have some fantastic astronomical imagers in SEKAS, along with many at various stages along the path. 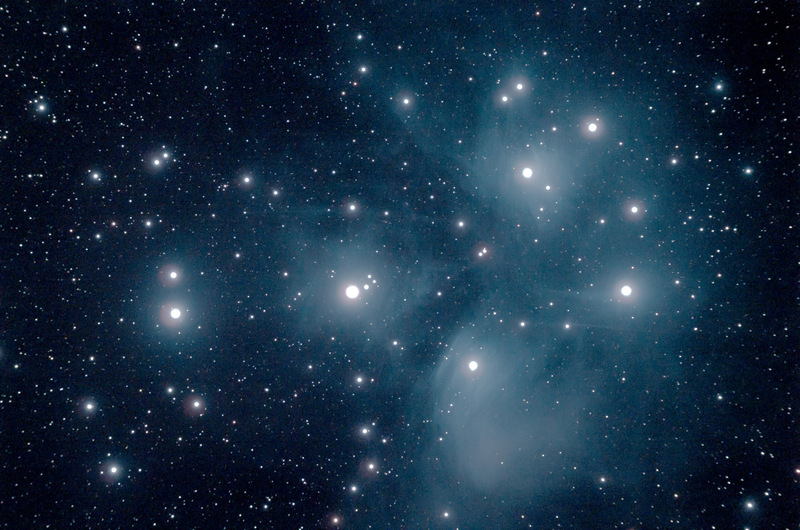 Astro-imaging of any type can be a rewarding, but sometimes frustrating experience. The imagers in SEKAS are here to help, and are happy to share their knowledge with the wider membership. We have regular astro-imaging talks and tutorials, with something for everyone, from a DSLR on a tripod taking milky way shots, to high-end telescopic CCD imaging and processing, and everything in-between. Take a look at the galleries to see the fruits of their labours, including deep sky, planetary, solar, cometary and other images, and don’t be afraid to ask if you want help to start out, or are just curious how the images are obtained. The SEKAS Observatory is a wonderful resource that members have access to once they’ve undergone introductory training and familiarisation. It is intended that it allows many that may not usually have the resources or practical circumstances to construct a similar facility themselves, to experience and use an amateur observatory. The observatory, which is still a new resource to the society, is set to become the focus of many of the SEKAS society observing nights, and we look forward to members undertaking many hours or observing there. Once you have joined SEKAS, you will be able to request more detail about the observatory and how to use it. The observatory itself is set in the Paddock, the SEKAS dark sky observing site. 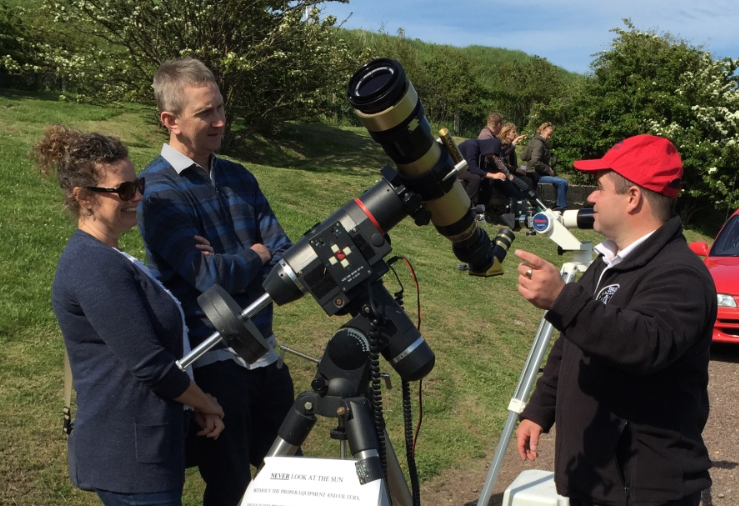 Members come along for both organised and impromptu obsessing sessions, and utilise both the society telescopes and their own kit if they want to. SEKAS do not sell telescopes, nor are we associated with any particular dealership. However we have a wide experience of pretty well all types of telescopes, from the very cheapest to models costing thousands of pounds. If you own a telescope but aren’t sure you are using it to it’s best, get in touch and we’ll try to help. If you want to buy something, but aren’t sure what, again we can offer advice. Come and meet us at out monthly meetings or one of our public events & you can look at and try a range of equipment & see what you like. There is no such thing as a perfect telescope, it all depends on your budget, what you want to see, how much storage space you have and so on. As well as telescopes, we have experience of ALL the accessories, from better eyepieces to red dot finders. From narrowband filters to stand alone photo mounts. Just ask. Get in touch on Facebook or via email to the Chairman for more information!